Jeremy Corbyn was back in the Black Country on the local election campaign trail today. The Labour leader stopped for selfies, signed autographs and was given a giant cookie as he met local party members in Wall Heath, Dudley. Mr Corbyn was accompanied by Damian Corfield, the Labour candidate for Kingswinford North and Wall Heath, ahead of the local council elections in May. 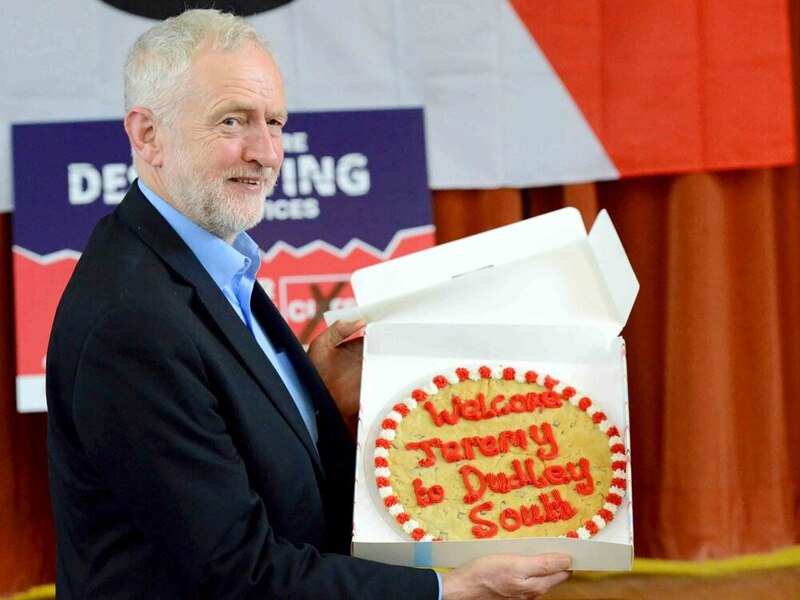 After going door knocking around the village, Mr Corbyn was given a giant customised cookie at Wall Heath Community Centre with the words 'Welcome to Dudley South' written on it. Joined by Dudley's Labour group leader Pete Low, My Corbyn also made a speech and spent time posing for photographs and signing Labour literature for his fans. Mr Corbyn's visit came just five weeks after he visited nearby Stourbridge during a day of action against Government cuts to police cuts. The opposition leader and MP for Islington North continues to face pressure for his handling of the ongoing anti-Semitism row. Asked why they thought Theresa May made a better Prime Minsiter than Jeremy Corbyn, one resident said: "She's more presentable. He never wears a tie." Maybe these things do matter after all. For full coverage of Mr Corbyn's visit see Monday's Express & Star.